When it comes to stockings, finding 'little' gifts can be difficult. Browsing this week I saw a few things I'd love to receive if possible aka things I'll most likely end up purchasing myself. Products that range from £3.50 - £40.00, they could be used as a solo gift or as stocking fillers. Lip liner has become more the norm for lipstick than lipstick, I saw the OCC The New Neutrals Cosmetic Colour Pencil Set and fell for the 5 piece. I have waited for this book from I believe last year, maybe even longer! I kept seeing it on Amazon for pre-order and it would always fall through this week I had a thought to see the stage of the book to my surprise it had been released Your Beauty Mark: The Ultimate Guide to Eccentric Glamour , looks to be an interesting look into the modern day retro burlesque queen that is Dita Von Teese. It's not exactly 'beauty' but it's about beauty so good enough! 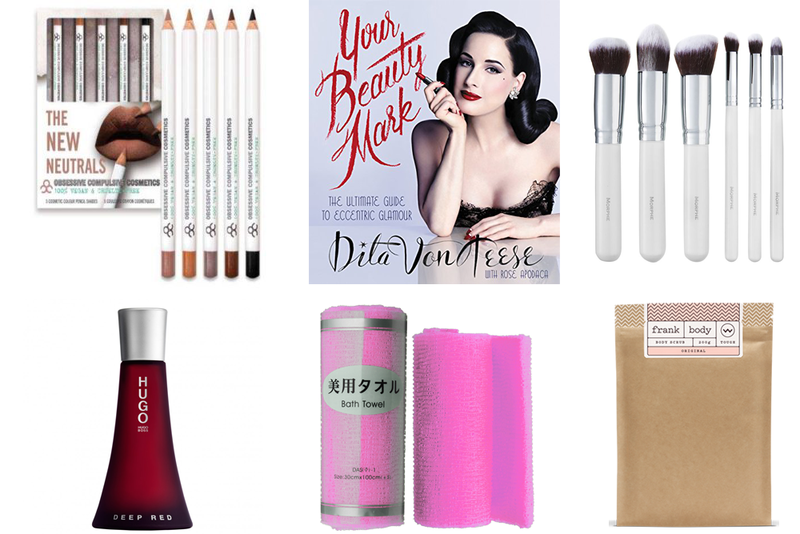 Do you have a Beauty Stocking Wishlist?